Ataxia is a loss of voluntary movement and/or balance—a sign of neurological disruption or disorder. It can affect one or both sides of the body in the fingers, hands, arms, legs, trunk, mouth, tongue or eyes, including sensation. 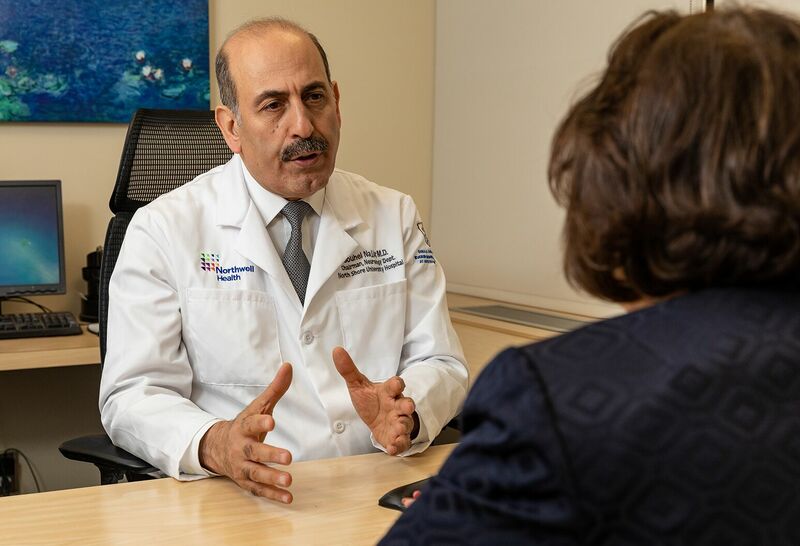 The Nerve Disorders Center of Northwell Health Institute for Neurology and Neurosurgery is comprised of a multidisciplinary team of peripheral nerve disorders clinicians including physicians, nurse practitioners, psychological care providers and rehabilitation professionals. The term ataxia, which means without order or coordination, can also be used to describe a group of degenerative neurological diseases which are either hereditary or sporadic. Treatment of ataxia depends on the underlying cause and is focused on improving mobility, though complete recovery is rare. Treatment may include certain medications, physical therapy and/or occupational therapy.